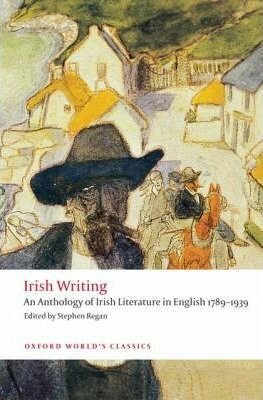 This anthology traces the history of modern Irish literature from the revolutionary era of the late eighteenth century to the early years of political independence. It covers 150 years, from the writings of Charlotte Brooke and Edmund Burke to those of Elizabeth Bowen and Louis MacNeice, and it shows how these writings continually challenge and renew the ways in which Ireland is imagined and defined. The anthology includes a wide-ranging and generous selection of fiction, poetry, and drama. Three plays by W.B. Yeats, Augusta Gregory, and J.M. Synge are printed in their entirety, along with the opening episode of James Joyce's Ulysses. The volume also includes letters, speeches, songs, memoirs, essays, and travel writings, many of which are difficult to obtain elsewhere.